If you are in business, you need a website. It's that simple. What isn't simple is making sure that your business website is effective. You can have a visually stunning site built for you and still not receive the traffic you need to accelerate your business. 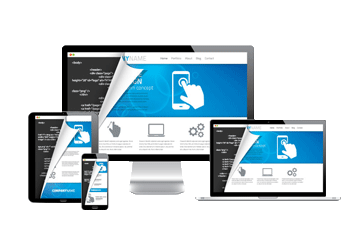 Websites need to be more than pleasing to the eye, they have to be responsive to the needs and behaviors of your customers. Your website is usually the first place that potential customers come in contact with your brand. There are many nuances, both aesthetic and technical, involved in the design of a great website. You need the right design elements which will leave your customer feeling that you answered their questions and made it easy for them to find the information that led them to a buying decision. Everywhere that you turn it is evident that the internet has changed the way that we do business. As the internet and the technologies surrounding it evolve, SwcHost leads the industry by remaining agile and responsive to changes. A website that takes advantage of current technologies will react faster in the market and drive more sales. Prior to the design of your website we perform a market analysis within your industry. We then use that information to build a site that gets results. We create a strong framework that brings all the elements together to make a visually appealing site that is attuned to customer behaviors. Then we power the site with the most current SEO methods measured by effective analytics. SwcHost goal is to create websites for our clients that get results. The web development team at SwcHost can create custom graphics, animations and applications that work to enhance your website's design. Custom HTML/ASP/Java/SQL Scripting along with Database Development/ Support and enhancements to the administrative and user options makes the site functional and easy to maintain. Our sites include our Search Engine Optimization Package to make sure that your website achieves a high ranking in your industry and our designers and marketing specialists stay current on changes in search engine algorithms and trends so that your site is optimized to meet your goals. We can also provide assistance in developing and registering your domain names and obtaining affordable website hosting for your new website as well. During your free consultation with a SwcHost professional a plan will be discussed that will help you meet your online business goals. Your current online brand presence will be evaluated and we will show you how we can improve brand awareness and guide you towards increased sales. We can assist in the development of avenues of monetization, using your site, that can help you market your products or services. Your website is your most powerful marketing tool. Let us build you a site that exceeds your expectations and gets you results. We can make your website's design beautiful too!